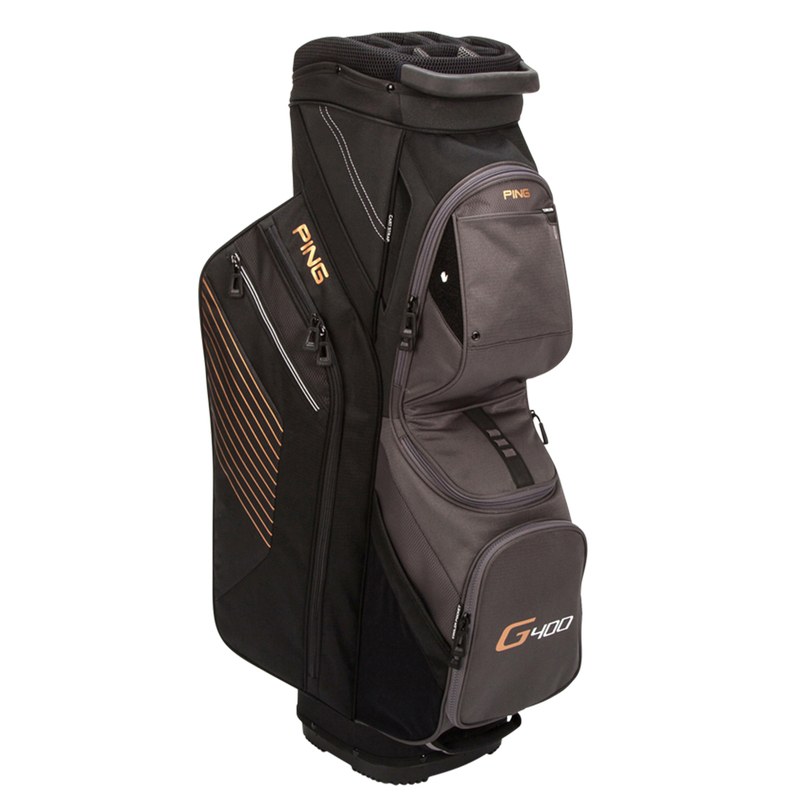 The PING Traverse cart bag features a large 14-way organizer made from high-impact polypropylene ensure the bag stay in shape. and gives a rugged solid construction. The Traverse bag only weighs 6lbs and has a soft moulded front-facing lift handle, integrated trunk handle for easy lifting. Other great features include an integrated strap channel and a moulded cross-design bottom to secure your bag to your mode of transportation. 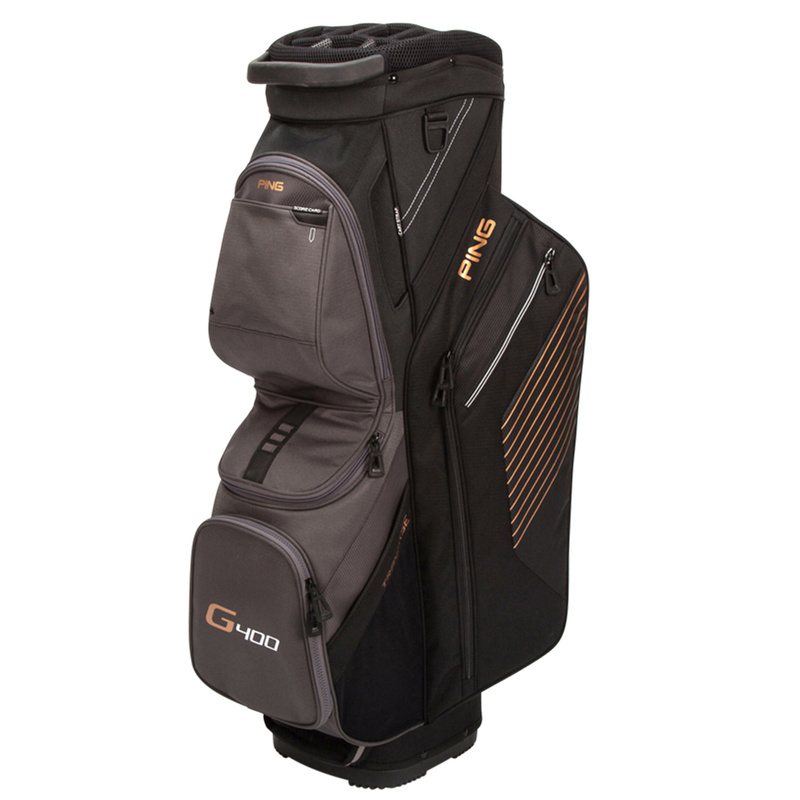 To assist with all your storage requirements the bag has 10 pockets which include an insulated cooler pocket, two large apparel pockets, and a velour-lined valuables pocket to resist scratching or damaging your mobile or GPS device etc.